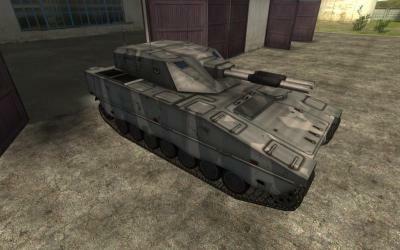 Tank Destroyer.. Actually lightly armored tank.. I have it, you always have to battle other ATM shooting tanks so it's though to use. I like it because of the challenge it gives me. ._. Can't wait for mines to be equipped on this baby. They accidentally misnamed that tank, the Grkpbv90120 is a double-barreled artillery.